While many of us are surrounded and even working for corporate, it’s imperative to understand the business practices and have the knowledge of existing business. The learning would give them the additional tool to further develop the business as well as their career. And that’s where B-Schools come into the picture. But among the lists of more than 3000 B-Schools in India, it will difficult for any MBA aspirants to choose the best college. ASM’s International Business Management and Research (IBMR) College make this choice easy. 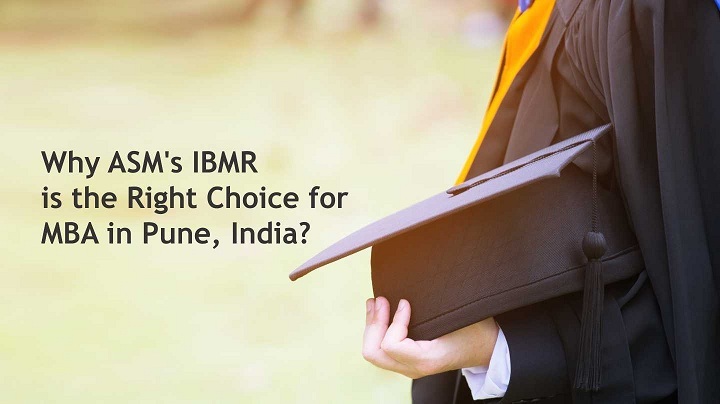 Let’s check out why IBMR is the right choice for studying MBA. IBMR exhibits ASM’s legacy of 34 years in the field of education from kindergarten to doctorate and implements the Application-skill based learning with a strong theoretical background. The interactive industry interface is quite essential in designing their syllabus. The institute makes sure that all the students get a good exposure to corporate culture with study materials, case studies, practical and co-curriculum activities. With a strong network of more than 66,000 alumni and a dedicated corporate relation cell, IBMR holds an amazing track record of placements. The connection with alumni gives networking strength and enables continuous industry academic interface. IBMR does numerous activities along with the alumni network that opens up opportunities for students to become the choice of various organizations like FIAT, Wipro, Accenture, Amul India, Standard Chartered, Videocon, Oracle, Godrej, Google, Acer, Reliance, ITC Hotels and many more. IBMR’s faculties have the combination of rich knowledge and academic qualifications in their subject and rich experience of the industries that includes operations, finance & banking, Human resources, marketing and IT. They also invite several working executives from industries as a visiting faculty in its ‘Meet the CEO’ program. Apart from that, the college welcomes many industry experts & lecturers and international faculties to conduct seminars and workshops so that the students would grasp the contemporary information and understand the realistic view of global business. In the 33 years of legacy in education, ASM has been pioneer in adapting technology and executes it in their campus which makes the IBMR’s infrastructure ultra-modern. The campus has digitally automated library with over 22,000 national and international books and journals. IBMR also is a member of DELNET, EBSCO and the British Council Library which give students access to more than 1,800 e-journals. Apart from it, the Pune campus provides highly advanced and tech-enabled computer labs, hostels and classrooms. IBMR aims to equip students not just with an industrial experience but the physical and the mental strength. The B-school organizes various competitions such as mindscape, sports & cultural fest, national celebration and inter-college event. The idea is to encourage students to pursue their hobby, nurture it and showcase their talent in front of everyone. With these many engagements for two years, the life at IBMR gets busy, eventful with a dash of color and enjoyable.The amount of quality learning and industry exposure you would gain shall be enough to help you get the high goals in professional as well as personal life.